Gloria’s area of expertise includes marketing, customer service and project management. 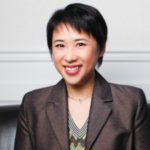 With over 10 years’ experience in Marketing, Business Development, Operations and Management, Gloria successfully parlayed her expertise in these fields into a thriving career in the real estate industry. Specializing in her clients’ needs, Gloria helps clients realize their real estate and business goals in both the residential and commercial sectors.